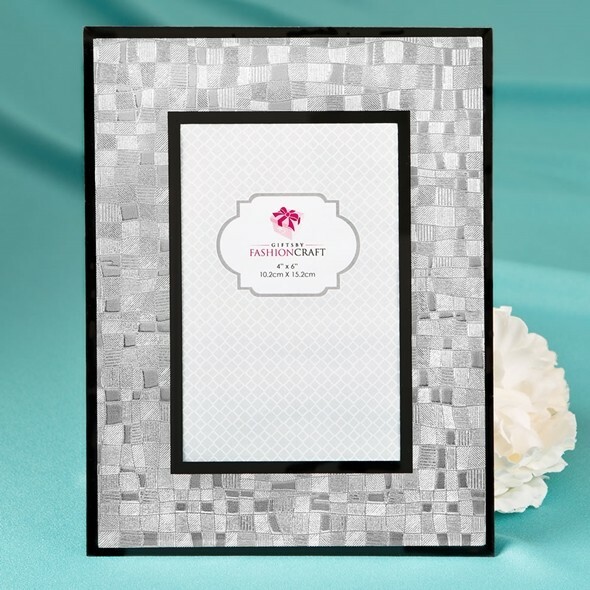 This stunning silver embossed mosaic design frame features beveled glass. The frame doubles as a table number holder, will hold a standard 4" x 6" photo and may be displayed vertically or horizontally. Solid black inner and outer borders will make the photo really stand out. The black-velvet-back frame comes packaged in a white box. Sold individually.